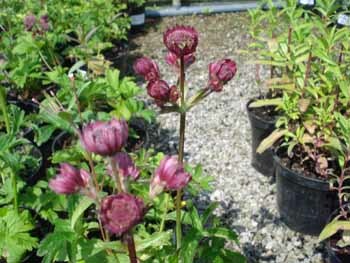 Astrantia also known as hatties pin cushion or masterwort are one of those perennials that keep getting better every time you see them. They keep growing and flowering all summer with stunning star shaped flowers in various shades of white, pink and red on long stems. Astrantia are perfect for filling the perennial border in the sun, they particularly thrive in woodland gardens in moist, fertile soil and full or partial shade. A very versatile plant that is a must for everyone.